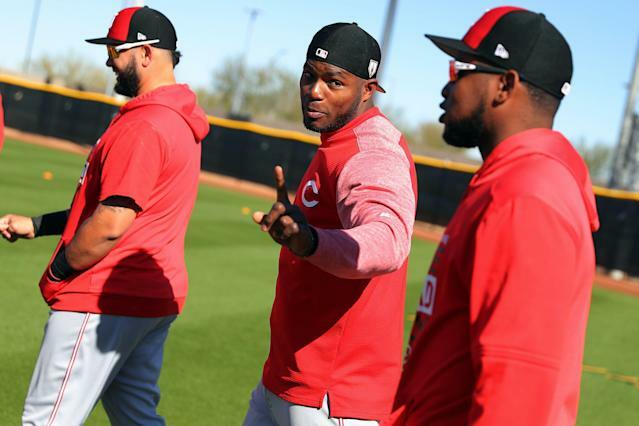 "I never worked hard," Puig said in a feature about his transition to the Cincinnati Reds after an offseason trade. "Maybe that's the reason why I didn't have my better years." That’s not even the best part. Puig, as candid as ever, also admitted to the time-honored tradition of professional athletes not hustling when they have contract security. "The last couple years, I didn't work hard because I still have a contract to go," Puig said. "Now I think I'll work hard more than any year in my life." Of course, this isn’t the norm in professional sports. But fans of several teams can pick out the player who turned things on in a contract year only to fall back to subpar effort once his money was secure. This appears to be Puig’s plan in Cincinnati. That he has the gumption to announce it on ESPN is stunning, even for him. Puig burst onto the scene in 2013 as a rookie with the Dodgers, logging a slash line of .319/.534/.925 with 19 home runs in 104 games. His effort earned him MVP votes and saw him finish second in National League Rookie of the Year voting to Miami Marlins pitcher Jose Fernandez. He followed up that season with a .296/.480/.863 effort that saw him earn an All-Star nod in 2014. His athleticism and arm in the outfield showed potential of being an elite defender. In four seasons since, Puig has failed to hit better than .267 while drawing the ire of fans and teammates with base-running and fielding mistakes. Are we to expect those mistakes to disappear during his contract year in Cincinnati? Who knows? The lights and the pressure will certainly be dimmer than what he experienced with the Dodgers. National TV games will be much fewer. So will the wins. Puig is the embodiment of the mercurial, so how he responds to the reduced limelight is anybody’s guess. But it sounds like he has a plan. And that plan is being less lazy than usual.